SSP America, a division of SSP Group, a leading operator of food and beverage brands in travel locations worldwide, is opening six new restaurants at Phoenix Sky Harbor International Airport’s John S. McCain III Terminal 3 (PHX) throughout the month of January. The portfolio introduces a mix of local and chef-driven brands as well as enormously popular, forward-thinking national brands. SSP America began operations at PHX’s Terminal 4 in 2013 with a 10-year contract which includes 18 unique, Phoenix area-based local businesses, backed by five national brands across 26 individual restaurants. 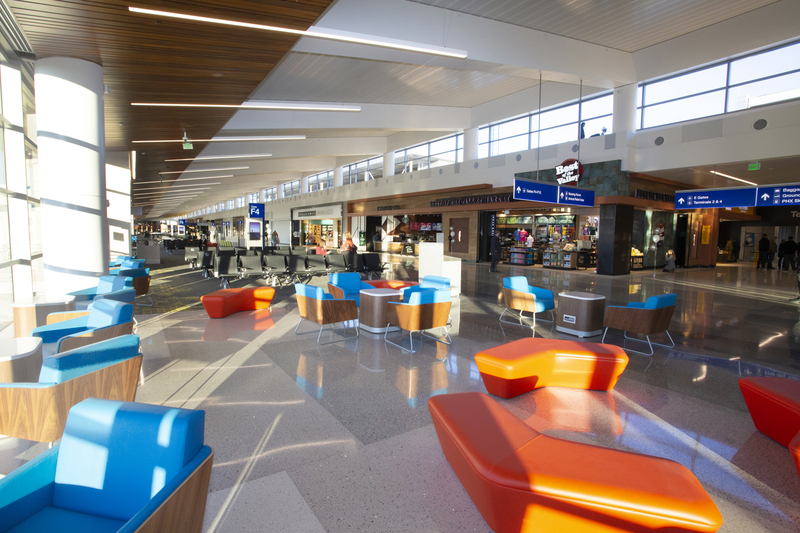 SSP America’s latest openings are part of the gateway’s $590 million Terminal 3 Modernization Program, set to enhance the customer experience for travellers by providing a more efficient way of getting through the terminal. Original ChopShop (Post Security Lobby)—Original ChopShop is a neighbourhood eatery crafting ‘Just Feel Good Food’ from whole ingredients. Since the first Shop opened in Old Town Scottsdale, Arizona in 2013, Original ChopShop has provided a warm, welcoming place where guests can come as they are and fuel their well-being with wholesome, flavourful food. The menu offers protein bowls, salads, sandwiches, acai and pitaya superfruit bowls, fresh-squeezed juices, and protein shakes, all made from scratch on-site with real, quality ingredients. Überrito Fresh Mex (Post Security Lobby)— Driven to offer passengers more than just a basic burrito, Überrito defies any preconceptions of Fresh-Mex while offering flavour combinations you won’t find anywhere else. Serving burritos, bowls, salads and nachos, you can satisfy any craving with the best ingredients at the peak of freshness. Whether you’re just passing through or grounded for a while, it’s time to try something nü at Überrito. Tarbell’s Tavern (South Concourse)—Straight from its East Camelback Road location, Chef Mark Tarbell’s, Tarbell’s Tavern, brings a relaxed and approachable foodie oasis—a tony little gem serving fresh-forward, chef-driven plates in a fast and casual environment. Tarbell’s South Concourse location will also include a large wine retail component that will allow passengers to buy handpicked, premium wines to enjoy at their next destination. Christopher’s (South Concourse)—James Beard Award-winning executive chef and restaurateur, Christopher Gross, brings his thoroughly modern, locally laurelled, Christopher’s to PHX’s South Concourse. Featuring handcrafted cocktails, top-notch local and international brews, handpicked wines by beverage director Paola Embry and award-winning, chef-driven gourmand plates—Christopher’s will be the ultimate PHX oasis. The Habit Burger Grill (Post Security Lobby)—The Habit Burger Grill is a burger-centric, fast casual restaurant concept that specializes in preparing fresh, made-to-order chargrilled burgers and sandwiches featuring USDA choice tri-tip steak, grilled chicken and sushi-grade tuna cooked over an open flame. In addition, it features fresh made-to-order salads and an appealing selection of sides, shakes and malts. The Habit was named the “best tasting burger in America” in July 2014 in a comprehensive survey conducted by one of America’s leading consumer magazines. Peet’s Coffee (Ticketing)—As The Original Craft Coffee® established in Berkeley, California in 1966, Peet’s Coffee is famous for freshly roasted, craft coffee. The Peet’s coffee bar will offer savvy travellers on-the-go a wide-range of premium coffee and made-to-order espresso beverages. And all are prepared from selectively sourced beans that are hand-roasted in small batches. Peet’s ticketing location will also feature an adjacent retail element, providing passengers with key conveniences like bestselling newspapers, magazines, books, travel related sundries, luggage, souvenirs and gifts.